Six-section classification folder keeps all your documents organized. Expandable reinforced Tyvek gusset has two-inch capacity. 1'' capacity fasteners on inside 25 pt. 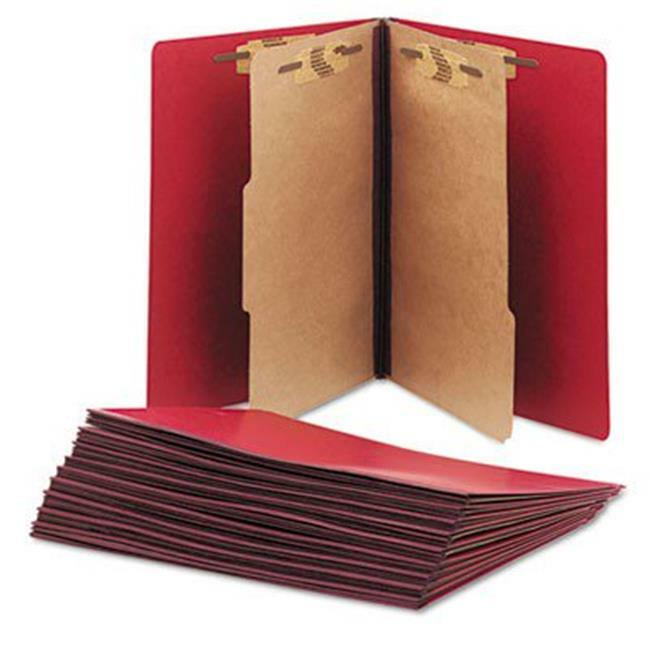 pressboard covers, 2'' capacity fasteners on the 17 pt Kraft dividers, Full top tab on back cover.